Proposition #66 – Was Kent Hovind Framed? – Kent Hovind v. Robert Baty – The Great Debates! 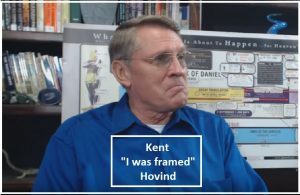 Home→Proposition #66 – Was Kent Hovind Framed? That was a frame job from the beginning. bunch of crimes on their part. Transcription above from 16:28 mark in video below!